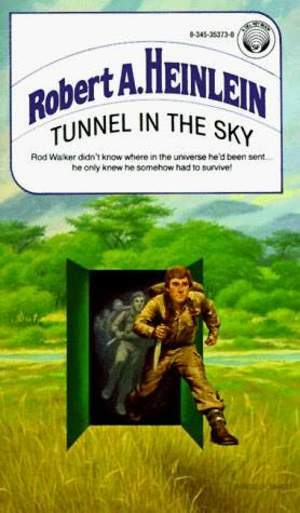 She handed me the book and on the cover were the words “Tunnel in the Sky” by Robert Heinlein. On the cover, an image of a young man, probably 12 stepping through an open doorway onto an alien world beckoned me to follow. I had just held my first science fiction book. I devoured it in one day crouched in the hot cab of my father’s old green truck at the end of our driveway along a major highway in Blanchard. In the back of the truck were watermelons. A sign on the windshield advertised them for fifty cents. No one stopped on the lonely highway but I didn’t care. I was transported to another world where young people had to survive in a hostile environment after they were accidentally sent on a field trip to a planet no one knew existed and then forgotten. The doorway to my school library opened and I stepped into a new world of adventure as I inhaled book after book. But, as the school year came to a close, I realized the tunnel would soon be blocked and the doorway sealed. Living miles away in the isolated countryside I would not have access to the library. I would have no new books to read. 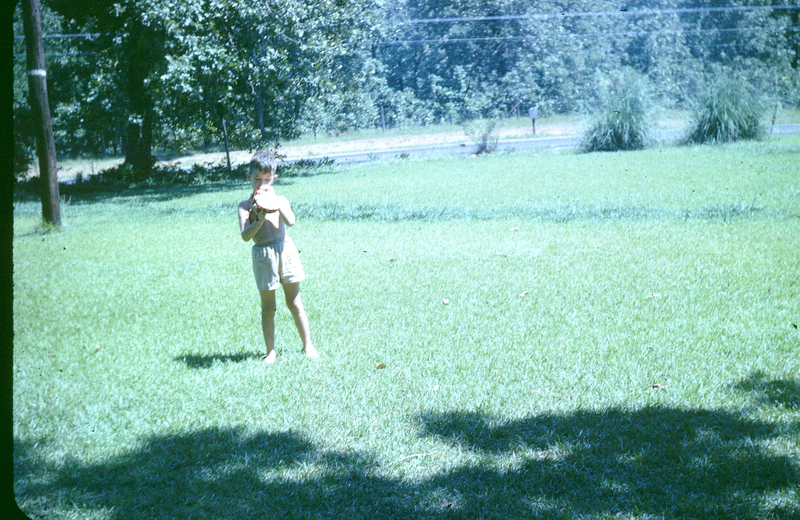 Growing up on a 62 acre farm of mostly pasture and wooded forest, I had no playmates. I was born late in my parents’ life much to the dismay of my brother and two sisters who could not stand the idea that their “mature” mother was “pregnant”! By the time I was a young boy, my sisters had married and moved away and my brother was raising his own family on the same property. 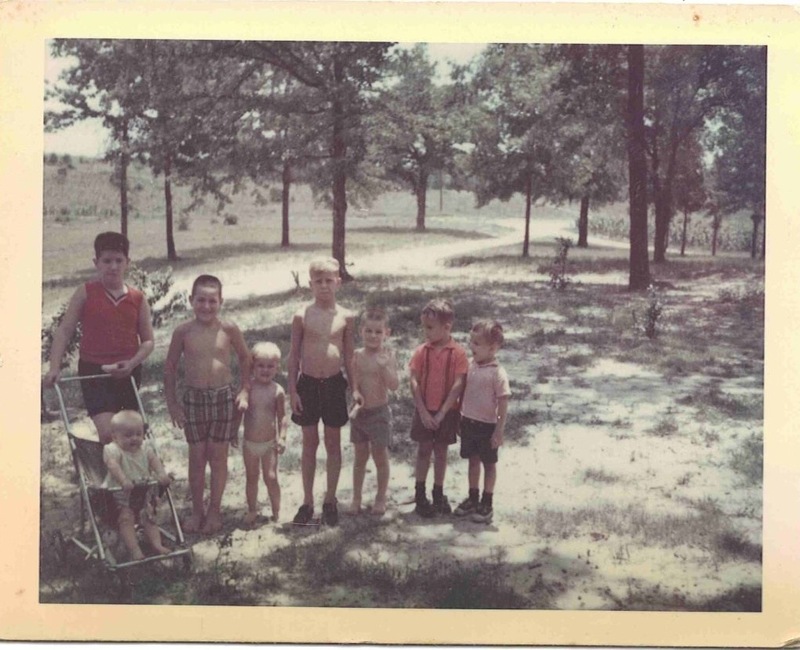 For years my nephews were too young to play games and I spent my time wandering through the pastures and piney woods creating stories and playing out scenarios filled with monsters and aliens and creatures of the night. My imagination was fired by books. My sister, Sue taught me to read when I was five. My parents read voraciously. My mother loved romance novels. My father was a huge fan of Zane Grey and his westerns. I read some children’s books, but these small, childish stories did not fill my heart with the adventure I longed for. With summer coming, I would have not way to get to the local branch of the library. One day while re-reading one of my few Superman comic books in my father’s truck, I heard a roaring noise. Over the far hill a huge vehicle lumbered through ripples of heat down the hot asphalt highway. It pulled into my driveway and behind the huge steering wheel sat the diminutive Mrs. Ashby. 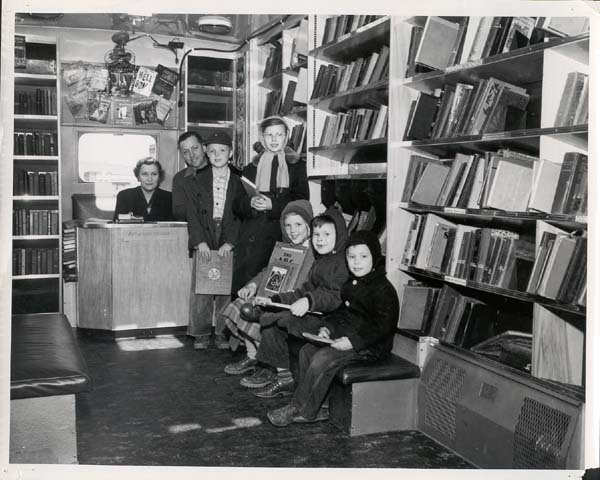 On the side of the vehicle were the words, “Shreve Memorial Library Bookmobile.” The library had come to me! Mrs. Ashby had brought the universe to my house! I will always remember that moment as the door opened and the tunnel yawned deep and long into the world of Imagination. I hopped out of the truck, my comic forgotten and stood on the edge of forever. Mrs. Asbhy smiled and waved her hand toward the interior. “I have some special books for you, Bruce. Welcome aboard.” With tears in my eyes, I walked up the stairs into the hot interior of every tomorrow; of infinite worlds and possibilities. It was then, I knew I wanted to take all the stories I played out each day; all the stories I had heard from my parents and relatives; all the stories I whispered out loud to myself as I fell asleep each night — yes, all of them — and write them down so I could keep them forever in books! Why did I love stories? I was seven years old when I hid in the hallway behind my aunt’s living room to listen to my parents and their relatives tell tales from before the days of the Great Depression. My Aunt Lorraine was a masterful storyteller and she recounted the story of Uncle Dub, an African American sharecropper (although they were not called this in the 1920s) who was hired to watch over the children. My grandfather Dossie Caskey owned a farm and paid sharecroppers to help with the crops. My mother and her five sisters labored in the hot sun alongside the sharecroppers. Uncle Dub watched out for them. In the fall, sugar cane was squeezed in a large stone press. The sweet sap would collect in a huge metal vat where it was cooked down to form syrup. 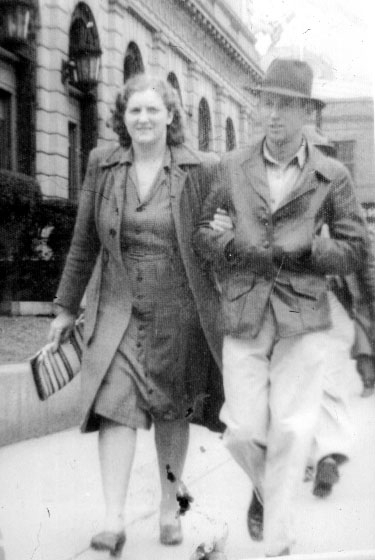 One fall when my mother was but a young girl, Uncle Dub was sitting too close to the vat. The fire exploded and hot, boiling syrup covered him from head to toe killing him instantly. Much to the dismay of his relatives, Uncle Dub’s skin peeled away leaving him pale, red and bleeding. To hear my Aunt Lorraine tell this horrific story always filled me with dread and fear. I would forever have a healthy respect for a pot of boiling liquid. As my aunts, uncles, and parents sat around the hot, humid living room underneath buzz fans and lazy flies, they shelled peas and shucked corn all the while spinning stories of a world I could not see. Visions of exploding syrup mills and run away horses and my grandfather’s chase across northern Louisiana after those killers, Bonnie and Clyde were far more entertaining than my cousins outside shooting BB guns at rotten watermelons. In that hot, still atmosphere just off the kitchen where fried chicken sizzled in a cast iron skillet, I learned to love the art of storytelling. And so it was that on my 11th birthday I asked for a portable typewriter. I wanted to write. I wanted to be published. I wanted to be an author! While my friends at school asked for the latest toy or a new baseball glove or football or basketball, I wanted a blank page and a way to put these stories down in permanent format. 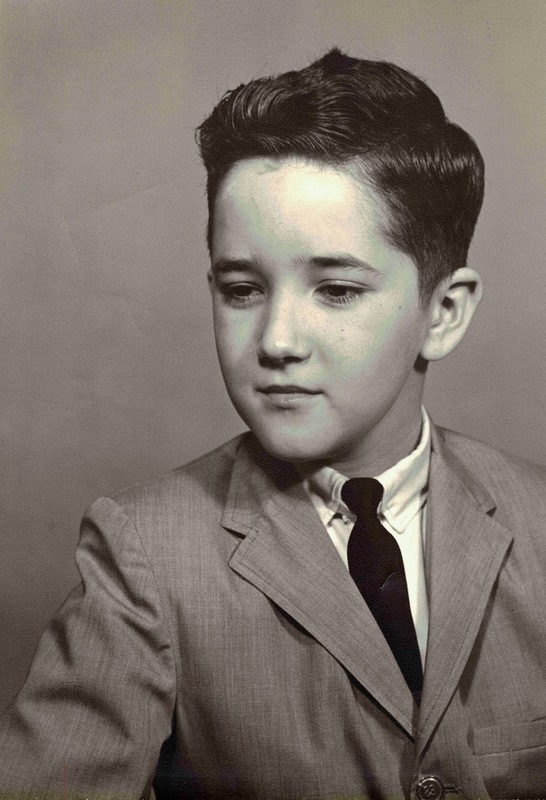 I wrote my first short story at age 13 for a creative writing class in the eighth grade. It was a shock to learn there was a school topic called “creative writing”! In the ninth grade, I spent six weeks writing everything from haiku to essays. I still have one of my favorite short stories from that year with the most inspiring words I had ever received. My ninth grade teacher, Mrs. Griswold wrote in huge, red letters across the top of the first page, “Publish! Publish!” That year I wrote a simple poem inspired by the poem Ozymandias. In my senior year, that poem would win first place in the state of Louisiana. My senior year I was elected as the Student Council President and was faced with something my parents and siblings never had to consider. Being the number one student in my class, I could have had any scholarship in the state. But, my parents never told me to try out for scholarships. My high school counselor called me into her office in January of my senior year. She scolded me for not applying for scholarships as the best were already gone. I had no idea what she was talking about. I thought you just went to college. It never dawned on me I had to find one and apply to one and then figure out how to pay for it! I told her I wanted to be a writer and she just shook her head. No money in writing, she said. You need to find a real job and write on the side and maybe one day break into the publishing market. She found me a meager scholarship to Northwestern University in central Louisiana, well known for its “humanities”. When I left her office, I realized how cloistered and naive this country boy was. I had a lot to learn. Little did I know that just weeks ahead, there would be a huge change in my life and great and wondrous things would happen. I’ll tell you about them soon. 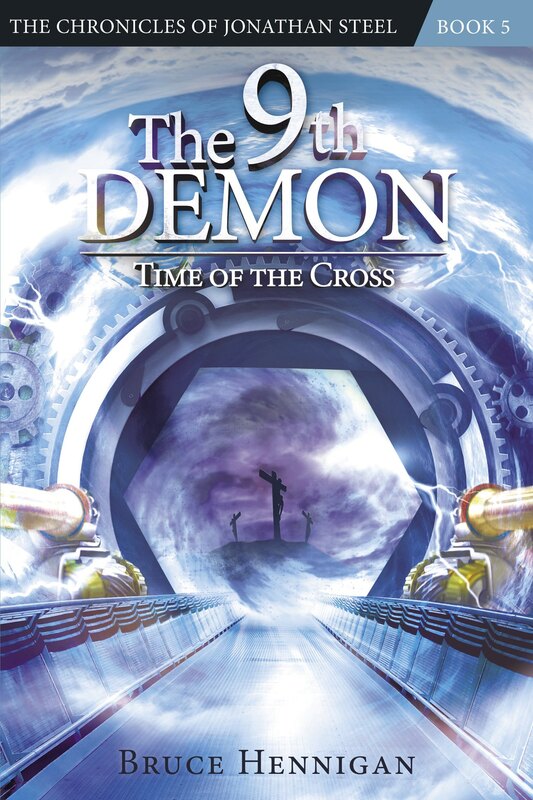 For more information on how to order books in the Chronicles of Jonathan Steel including my latest book, “The 11th Demon: The Ark of Chaos” use this link. Posted on April 28, 2014, in Breaking News, My Writing and tagged 11th demon, author, Blanchard, bookmobile, Heinlein, library, Publishing, Saline. Bookmark the permalink. 1 Comment. Very interesting Bruce. I also had a high school counselor who told me I needed to pursue college and she did not leave my classroom until I signed up for college. Being late in my senior year most colleges were full but thankfully I got into NSU also. I will never forget Mrs. Miller and am forever grateful to her. College was such a wonderful life teacher! I graduated with a BA in English but if I could go back I would be in Forensic Science.